Home/Knowledge Base/CMS/How to switch from Blogger to WordPress? How to switch from Blogger to WordPress? Switching from Blogger site to a WordPress site may be a real hassle especially if you are starting from scratch. The most easy way is through export and import process. With this, you will not lose your Google rankings. 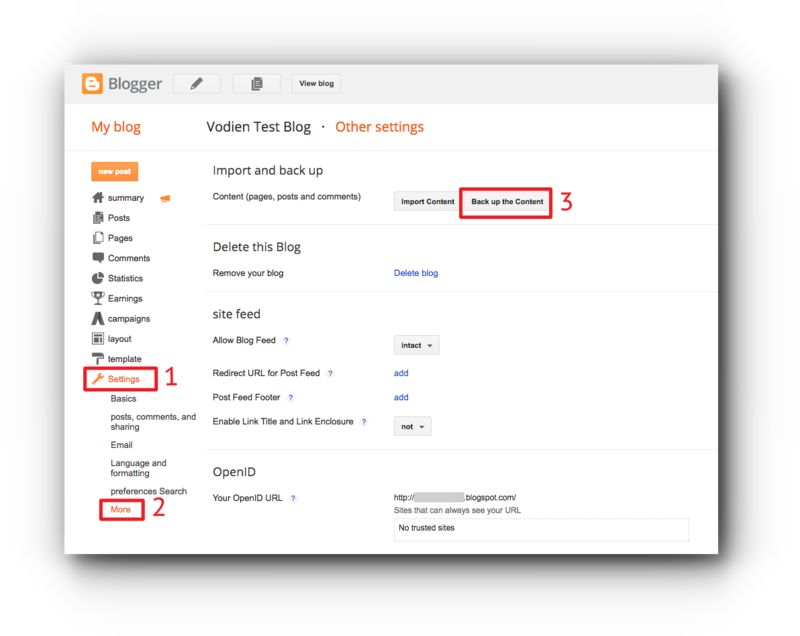 Please follow the instructions below on how to switch from Blogger to WordPress. Step 1. Go to your Blogger editor. Under Settings menu (number 1 in the image below), click on More (number 2 in the image below). Step 2. In the Import and backup, click Back up the Content button (number 3 in the image above). Step 3. Click Save on your computer button. 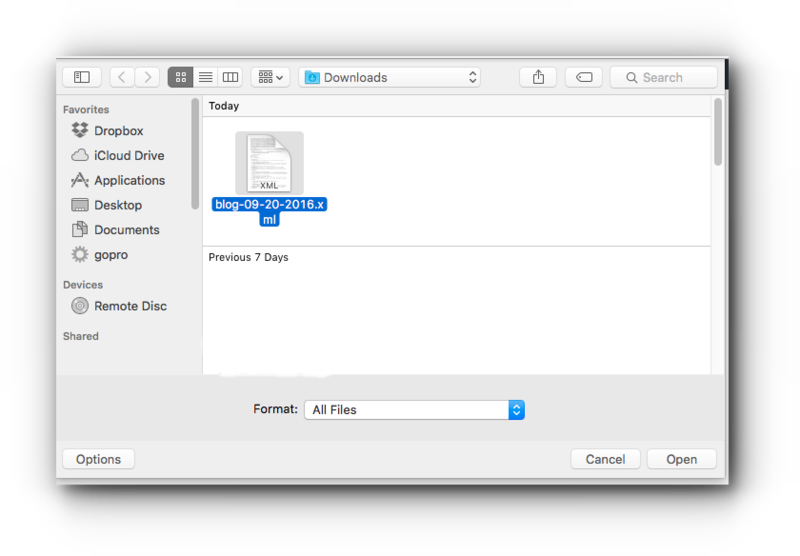 The file will be saved in your local computer with the XML file extension. By default, this is saved in your Downloads folder. Step 2. Click Tools (number 1 in the image below) and select Import (number 2 in the image below). Step 3. 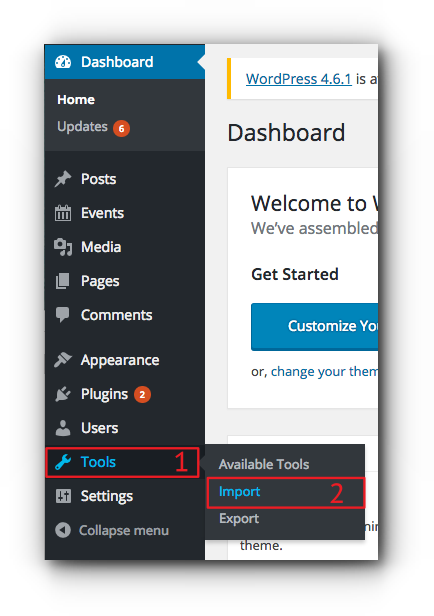 Choose on Blogger in the Import page. Step 4. A window popup will show about the Blogger Importer plugin. Click Install Now button located at the bottom of the popup window. Step 5. Once the installation is done, click Activate Plugin & Run Importer link. Step 6. Click Choose File button. Step 7. 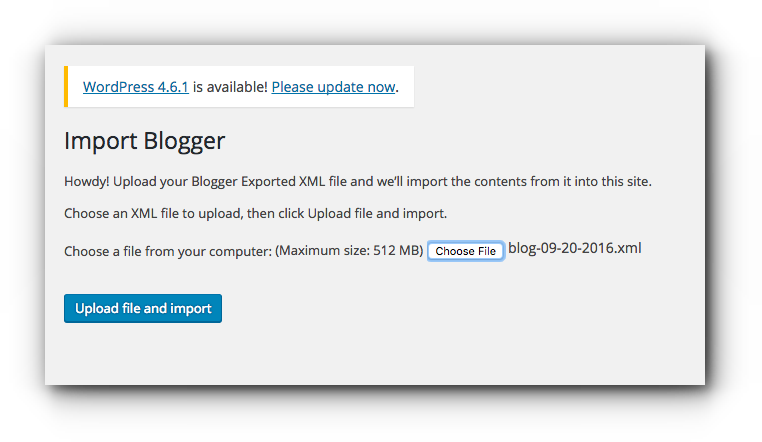 From your Downloads folder, select the Blogger XML file you have exported and click Open. Step 7. Click Upload file and import button. Step 8. In the Import Blogger page, you will see Assign Authors. This will show you the Import author (Google account name). 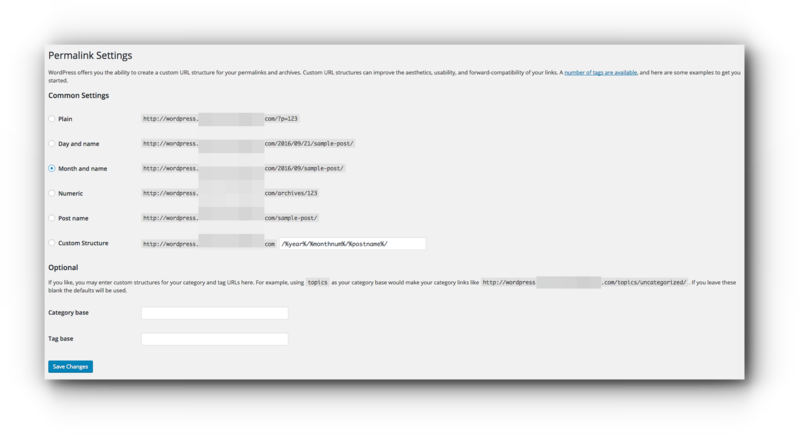 In the as a new user field, enter the desired user name or assign it to an existing user of your WordPress site. Click Submit. Step 9. Change the permalinks. Step 1. Go back to your Blogger editor. Click template. Step 2. 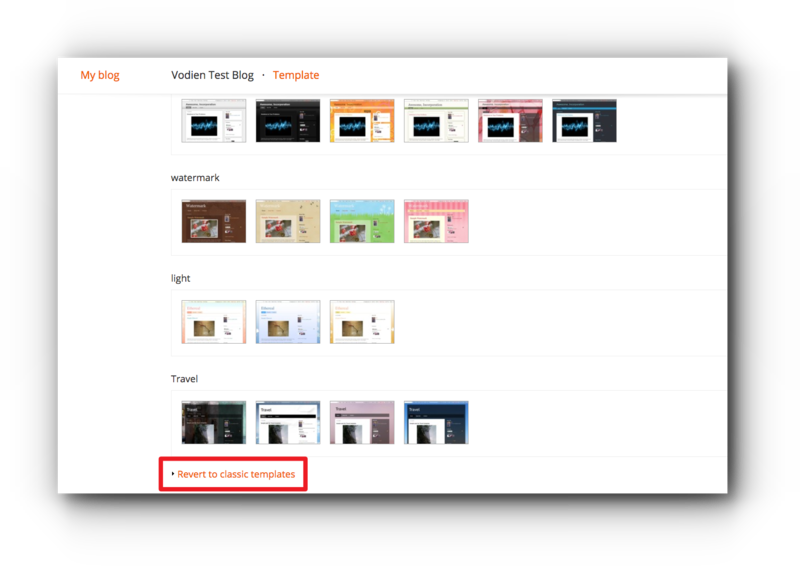 At the bottom of the Template page, click Revert to classic templates. Step 3. Click Revert to classic template link. Step 4. 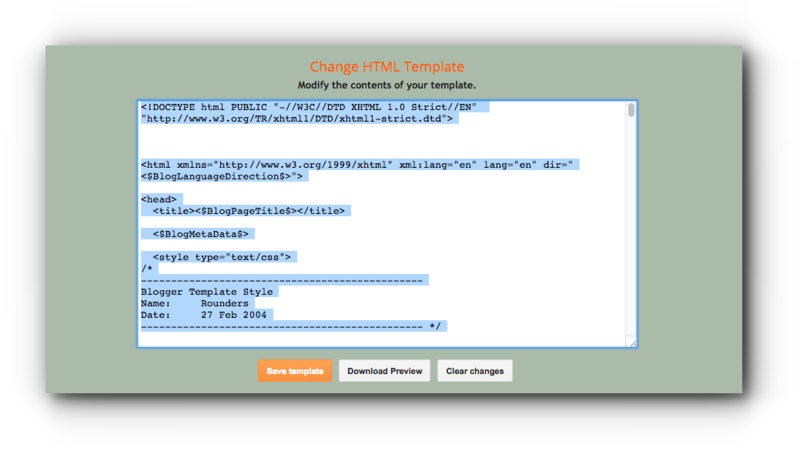 Change the HTML of the template. Step 5. Paste in the following HTML codes. Please make sure that you replace domain.com with your WordPress domain URL. Step 6. Click Save Changes button. You have now successfully switched from Blogger to WordPress.